Midshire is a leading Managed IT Support company, with years of experience in providing office technology solutions covering: digital print, business telecommunications and IT services. Midshire supply and support the latest technology to a wide range of organisations nationwide, including both the public and private sector environments. The Midshire group has been developing Managed IT services portfolio for a number of years. Utilising our highly-knowledgeable and experienced team to integrate IT hardware, software and cloud services to provide our customers with complete solutions that are tailor-made to their business. Additionally supporting organisations with on-site, remote and help-desk support for its employees and wider business needs. 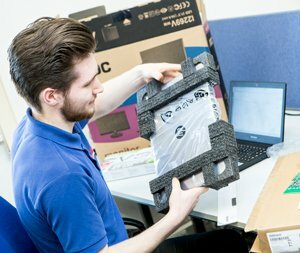 We are your key local IT support company, delivering state-of-the-art technology solutions to businesses throughout the UK. With IT support staff based in: Manchester, Birmingham and London, Midshire can help you design an IT solution that works for your business! Our comprehensive range of IT services covers the supply of IT hardware and software, IT support packages and leading-edge IT solutions that ensures your business is innovative, productive and secure. All at a price that is right for your business! Why not make Midshire your technology partner of choice? Midshire is a certified Microsoft partner, achieving Silver Small and Midmarket Cloud Solutions provider and Authorised Education Partner status. Our high quality service has also been confirmed through customer references, which consider the success of implementation and customer satisfaction. Midshire has won multiple awards for its IT services including ‘Best Office Technology Supplier in the UK’, ‘Best SME Support’ and a Megabuyte Top 25 Emerging Stars Award, ranked seventeen on the list for 2017. What IT services can you receive as a Midshire customer? • Anti-virus / data security – With internet usage at an all-time high, businesses have never been more at risk of computer viruses. With an array of solutions available, Midshire can help protect your IT hardware and prevent virus attack. • Server and network monitoring – Server and Network monitoring ensures maximum business uptime and productivity. Issues on your network or server can bring down the whole business. Let us monitor and protect your infrastructure, and keep you working! • IT support services – Whether you need a pay-by-user IT support package or full organisational IT support, Midshire can develop a solution that meets your needs and your budget! Midshire can provide on-site, remote and help-desk support to its customers. We monitor customer satisfaction using our industry leading IT support customer ticketing system – Zendesk, which achieved a 98% satisfaction rate for 2016. • Hosted desktops – Our in-house product Desktop Monster is a hosted desktop, allowing users to work anywhere on any internet enabled device, with all information, data, programmes and files stored in ‘the cloud’.